What Evidence Proves Prokaryotes Existed Before Eukaryotes? Between prokaryotes and eukaryotes, which type of cells are believed to have evolved first? Scientists have concluded that prokaryote life forms preceded the more complex eukaryotes. All organisms on Earth are classified into two basic cell types. "Kary" means nucleus. "Pro" means "before," and prokaryotes have DNA in a freely floating ring that is not encased in a nucleus. "Eu" means "true," and eukaryotes have DNA arranged in chromosomes and encased in a nucleus. Fossil evidence indicates that prokaryotic cells first existed on the earth, prior to the arrival of the eukaryotes. 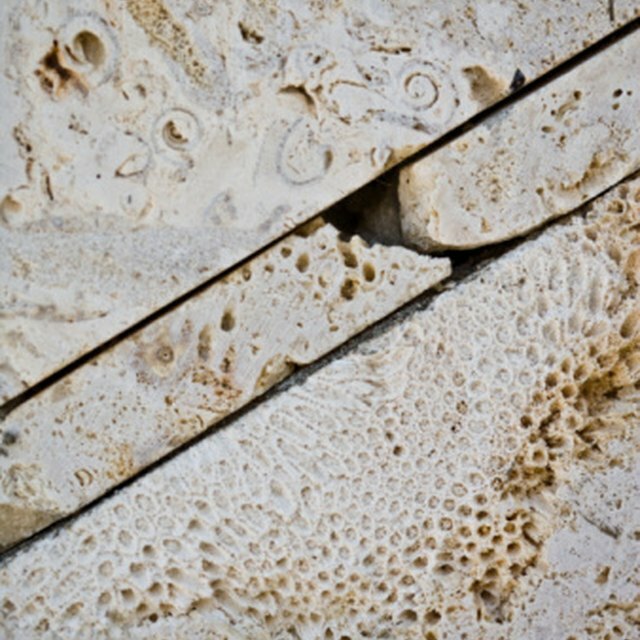 When you think of fossils, you probably think of shells and bones, so it might surprise you to discover that microorganisms account for between one quarter and one half of all fossils ever described by scientists. Though they lack skeletons, a few groups of single-celled organisms have hard portions or secrete hard shells and so appear in the fossil record. This record is the best indication of prokaryotes' and eukaryotes' relative ages. 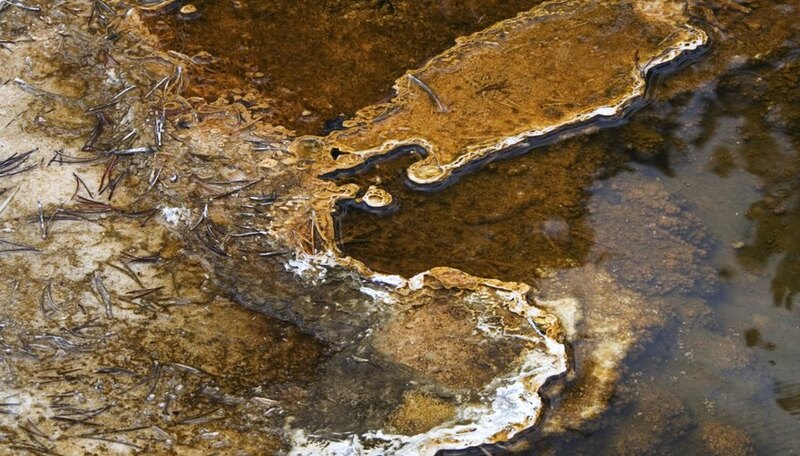 The oldest prokaryotic fossils are 3.5 billion years old, while the oldest eukaryotes are relative newcomers, having fossilized for the first time a mere 1.5 billion years ago. Prokaryotes include two domains of life: the archaea or archaebacteria, and the bacteria or eubacteria. These domains are as different from one other as they are from eukaryotes -- the protists, fungi, plants and animals. This tremendous difference indicates they are both extremely ancient lines. The evolutionary time necessary for this divergence means it must have happened well before eukaryotes appeared on the scene. Prokaryotic and eukaryotic cells function similarly and by using similar compounds, yet eukaryotes are much more structurally complex, and usually much larger, than prokaryotes. Both use DNA and RNA. They are made up of the same proteins and lipids, and all use ATP for energy. Yet eukaryotes have nuclear membranes, organelles, interior structural components and twined, protein-bound chromosomes. Their cells look very different from the chaotically packed, stiff-walled envelopes, with very little interior structure, of their prokaryotic counterparts. The high level of organization in eukaryotic cells allows a much greater diversity in cell type -- an innovation that made multicellular life-forms possible. Their greater complexity and diversity indicates that eukaryotes are a newer form, descended from the older and simpler prokaryotes. Eukaryotic cellular machinery gives the final clue that prokaryotes existed first. Several organelles in eukaryotic cells, particularly the chloroplasts and mitochondria necessary for metabolism, strongly resemble prokaryotes. They have their own ring-like DNA. They reproduce by binary fission, like prokaryotic cells. They synthesize some proteins independently from the cells that house them, and have independent, prokaryote-like membrane transport systems. The most likely explanation is that eukaryotes are the descendants of bacteria and archaea that converged in a symbiotic relationship to form the prototype for the eukaryotic cell. Bacterial communication through quorum sensing may also be the foundational behavior that allowed communication within and between groups of cells in multicellular organisms. The University of Nottingham: What Is Quorum Sensing? What Is an Organelle in a Cell? Libal, Angela. "What Evidence Proves Prokaryotes Existed Before Eukaryotes?" Sciencing, https://sciencing.com/evidence-proves-prokaryotes-existed-before-eukaryotes-18397.html. 07 August 2018.